This site documents families from parishes in Southern Waldviertel between 1600-1900. Provides improved access to genealogical records and local history of this region. Links immigrant families with ancestral communities. Currently provides free genealogical data for nearly 2000 families from Southern Waldviertel. 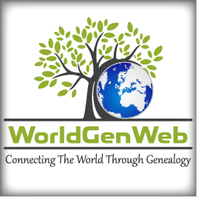 Helpful resources including maps, locality lists, links, genealogical research services, etc. Provides forum for compiling family histories from this region of Austria. originating from Gettsdorf, Strass im Strassertal and the lower Kamp river valley, Lower Austria by Tilman Brandl. Includes data for other branches like Iwan (Czechia/Poland), Scheikl (Styria), Kartin (Lower Styria) and Nebehay. by Max Wiggo Guldberg for information exchange concerning the surnames Heidenreich, Heydenreich, Haidrik, Haydrik, latinized Henricus, in Holland Heidenryk. which lists over 1,300 individuals and spans three centuries, by E. Randol Schoenberg, a grandchild of the famous composer Arnold Schönberg. by Mark Felhofer including information about about the family's immigration from Austria May - June 1883.
by Franz Hrazdira concerning research in various parts of Europe, but mainly around Leningrad/St. Petersburg in Russia, Bohemia, Moravia in the Czech Republic, Wien/Vienna in Österreich/Austria and Mailand/Milano in Italy. by Dipl.Ing. Gerhard Burian with a special interest in further information about the Hungarian (Burgyan, Nemeth), the Slovenian (Kette, Oblak) and Bohemian (Sekora, Riedl) branches from before 1800.
by Wilhelm P. Kemendics with a search facility for many surnames in Upper and Lower Austria. with information about the Austrian branch. in Burgenland with information going back to the 1720s. Worldwide research of the Heinrich Family and many German Moravian, German Bohemian, Moravian, Bohemian, German, Czech and related families. with the Urban family history and the Urban mailing list. presenting the Patscheider family history (text in German) going back to 1497.